CCDL holds its monthly general membership meeting at 7:00pm on the 2nd Tuesday of each month at the Elks Lodge in Middletown, CT. Our next meeting is April 10th. All CCDL members are welcome and encouraged to attend. Last chance to purchase CCDL merchandise for next Saturday’s Rally in Hartford. Come to the CCDL meeting this Tuesday in Middletown. 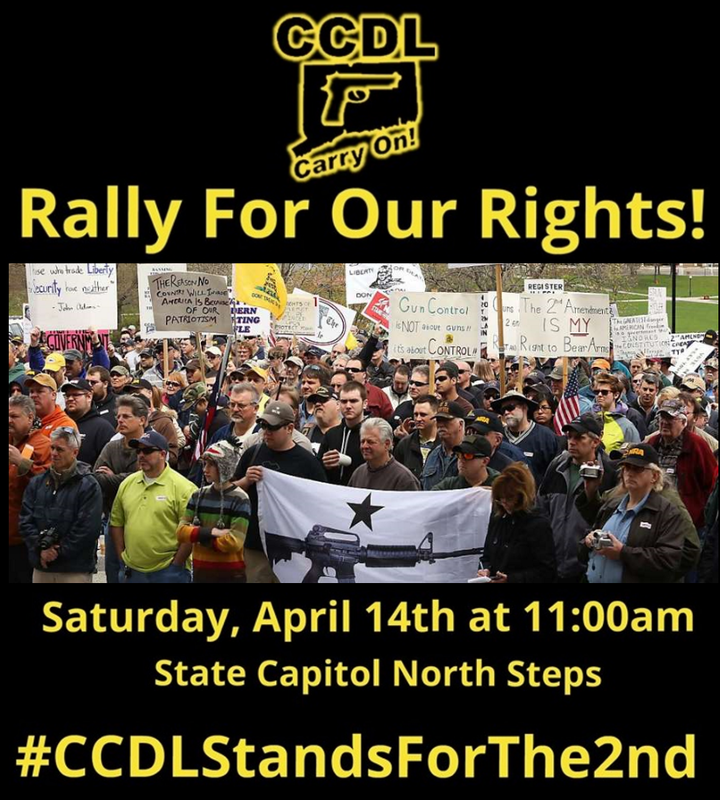 At our April meeting in Middletown this Tuesday, we will host a brief presentation about the value that 2nd Amendment supporters can have by getting involved in elections. This is ground level hands-on action that is necessary to keep good legislators in office, and help new ones get elected. At this moment, the anti-gun forces are lined up to help candidates who will surely hurt our right to keep and bear arms. If you want an outline of what we are doing and would like to take part, please do not miss this important meeting. Additional presentations will be announced soon. If you wish to volunteer for the rally, join us at our monthly meeting in Middletown this Tuesday, April 10th. This will also be your last chance to purchase CCDL merchandise before the Rally. We hope to see you at both!